The magnitude 7.5 earthquake and tsunami that hit the Indonesian island of Sulawesi last week has so far racked up a known death toll of 1,350. Even though this earthquake occurred thousands of miles away, it should be taken as a lesson for those living on the West Coast. Authorities are still expecting the death toll from the Indonesian earthquake to climb much higher in the coming weeks as those living on the island of Sulawesi grapple with the aftermath of the disaster, according to King 5. But Washington state is expected to be hit with a far larger earthquake, a magnitude 9 off our coast at some point. That earthquake would likely come from the Cascadia Subduction Zone, which runs from northern California to southern British Columbia. 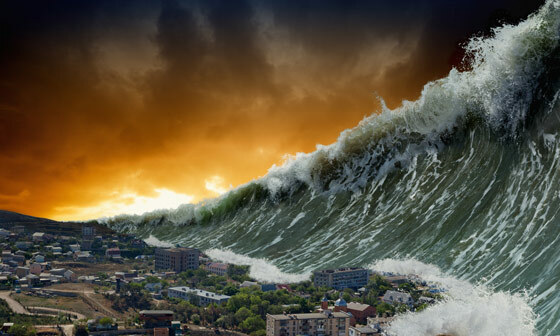 Not only would there be a large earthquake, but the resulting tsunami would be four times the height of the 20-foot waves that struck Sulawesi. Police are guarding shops against looters as people are desperately searching for food, fuel, and water. Officers initially took a lenient approach to survivors seizing basic goods, deputy national police chief Ari Dono Sukmanto said, but some people have since been arrested for stealing computers and cash, according to a report by the BBC. With all of the natural disasters causing untold devastation across the globe, many in danger zones are simply not prepared should something occur in their area. In fact, the United States as a whole lacks a “culture of preparedness” laying all their survival hopes on government responses to disasters rather than individually preparing so survival is much more likely. A magnitude 9 rupture on the Cascadia earthquake fault will likely cut all electricity, running water, and sewer services for weeks or even months afterward. Basic preparations to survive without power and running water should be a priority for those in the immediate disaster area. Emergency shelter capacity will be limited, and not the best option, so if you can survive on your own, you’ll do yourself and those who have no other place to go a big favor. Those who have prepared even minimally fare much better in the aftermath of a natural disaster than those who do not. Take the time to at least have extra food and water on hand and understand how to save those items for consumption later. Often people don’t think of preparing until after the disaster strikes, but by then, it’s too late. 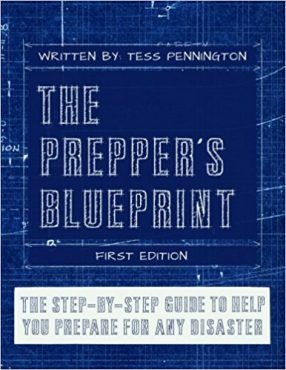 If you need a guide to help you get started on your journey of becoming prepared, The Prepper’s Blueprint is an excellent resource. It expertly and simply lays out the details of how you can become prepared for any disaster, even if you are just beginning to prep for survival. This article was posted in aftermath, Ari Dono Sukmanto, Cascadia subduction zone, culture of preparedness, death, devastation, Earthquake, electricity, Emergency Preparedness, global, Headline News, Indonesia, island of Sulawesi, magnitude 9, natural disaster, Seizure, Stealing, Tsunami, Washington state) and tagged disaster, prepare. Bookmark the permalink. Follow comments with the RSS feed for this post.Comments are closed, but you can leave a trackback: Trackback URL.